The society is fully developed, and large number of houses are already built. It is situated on Lahore-Jaranwala Road adjacent to Saggian, near Faiz Pur Interchange on Motorway M-2. 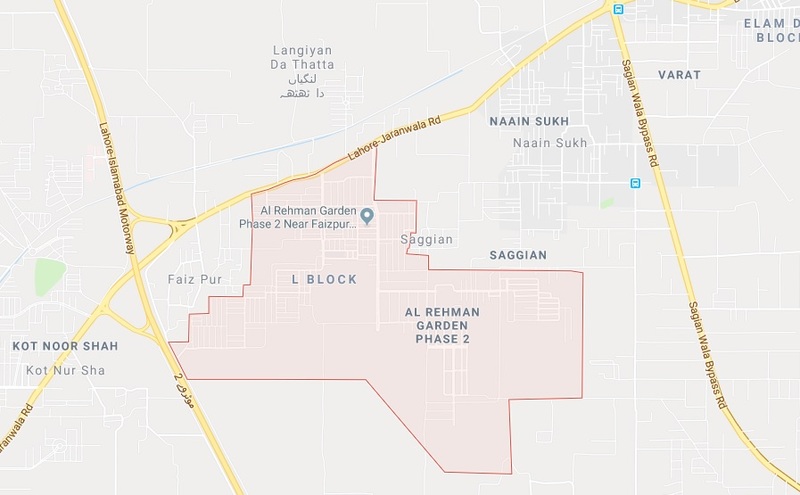 There is no information available as to the exact location, sizes and prices of subject commercial plots, however the sponsors claim to have limited number of plots which are available on first come first served basis. 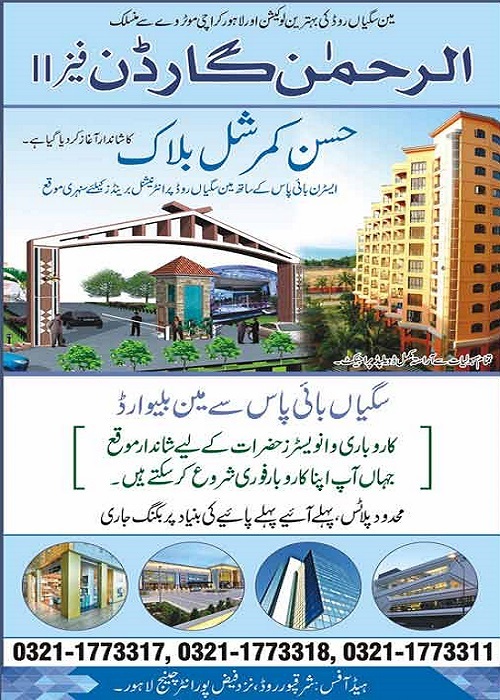 You can contact the phone numbers given on the advertisement for more details on Hassan Commercial Block.